Named after the famous grand prix track in Portugal, the new Estoril from Milano Sport is a full grain leather jacket, which is designed to be worn either on its own or with matching leather jeans. Fancy winning a pair of tickets to the Ace Cafe Stunt Fest and Streetfighter Show at Wembley on Sunday 28th July? Draggin Jeans are supplying the prizes for Stunt Fest, Longest Stoppie and Sickest Trick as well as Best Streetfighter, Best in Show plus six further “Best Streetfighter Bikes” (e.g. Best Engineering, Best Paint, etc) and they’re offering a pair of free tickets to one lucky winner. To be in with a chance of winning simply visit The Key Collection’s Facebook page and like the Draggin Jeans drag test video before midnight on Monday 22nd July. Competition open to UK residents aged 18 years or over only. 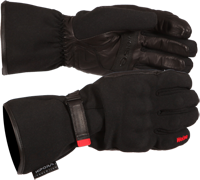 Sometimes here at www.inter-bike.co.uk we get sent motorcycling products for review that you know immediately are good, and this is definitely so for Weise’s very stylish K-Shield gloves. Forgive the pun but they really do fit like a glove. These have got to be some of the most comfortable motorcycle gloves we’ve had the pleasure to test. we can confirm that we used the gloves in several hours of hard rain riding across France and they remained waterproof and we have used the gloves down to almost 0°C and they kept our hands warm. You can use them in warmer temperatures as well, we used them happily up to about 20°C.